Apple has launched a slick new website that makes it a lot easier to sort through the info it publicly discloses about government data requests, bringing a sharp and engaging design to a matter that had previously been handled by a dull list of PDF links. As spotted by MacRumors, the new site went live alongside Apple’s most recent data disclosure, covering the last six months. 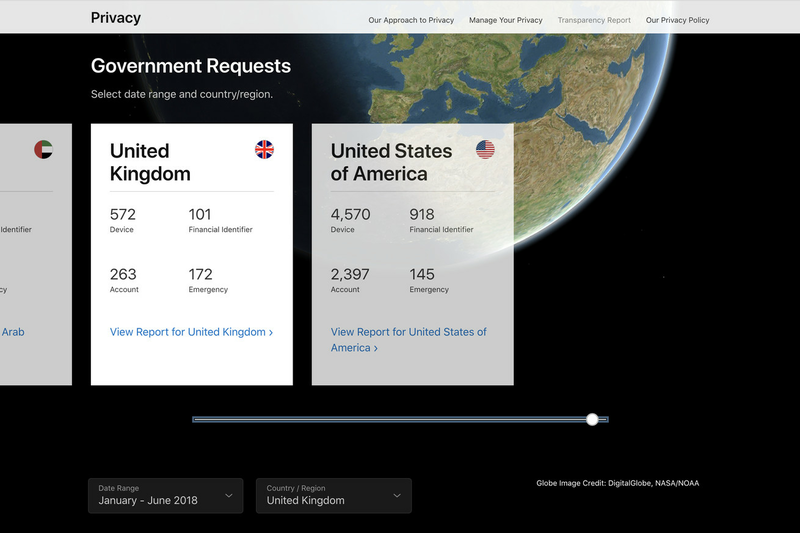 The new site allows you to scroll through data requests country by country, so you can see how many requests for information Andorra, for example, has made versus the United States. The requests are broken down into four categories — requests associated with specific device IDs, financial identifiers, Apple accounts, and emergencies.